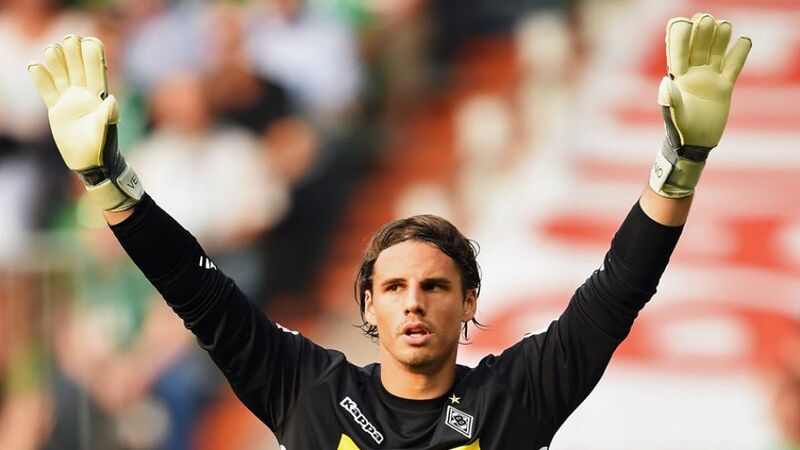 Mönchengladbach - Yann Sommer will wear a special mask to protect his broken nose and could feature for Borussia Mönchengladbach on their trip to Eintracht Frankfurt on Saturday. Sommer returned from international duty with Switzerland on Wednesday and trained with the rest of the Borussia squad wearing the custom-made mask he had already worn in training with his national team. "Of course it's not the best to wear a mask, but you get used to it and I can get on remarkably well with it," said the 26-year-old. "The final decision belongs to the coach, but I feel good and I would be ready." Sommer, who broke his nose during Gladbach's UEFA Champions League group stage defeat to Manchester City on 30 September, was replaced by back-up Tobias Sippel for the Matchday 8 win over VfL Wolfsburg. Gladbach head to the Commerzbank Arena for Saturday's late kick-off (18:30 CEST/16:30 GMT) seeking a fourth straight win under interim coach Andre Schubert, who took over when Lucien Favre resigned following the side's Matchday 5 derby loss to 1. FC Köln that made it a club record five successive defeats from the start of the season. The 44-year-old could, however, be without a number of key players for the game. Granit Xhaka, who has captained the side under Schubert, damaged ankle ligaments while playing for Switzerland in UEFA EURO 2016 qualifying while Fabian Johnson suffered a thigh injury in the colours of the USA - both are doubts. Martin Stranzl (facial fracture), Nico Schulz (left knee ligaments) and Patrick Herrmann (left knee ligaments) are long-term absentees.